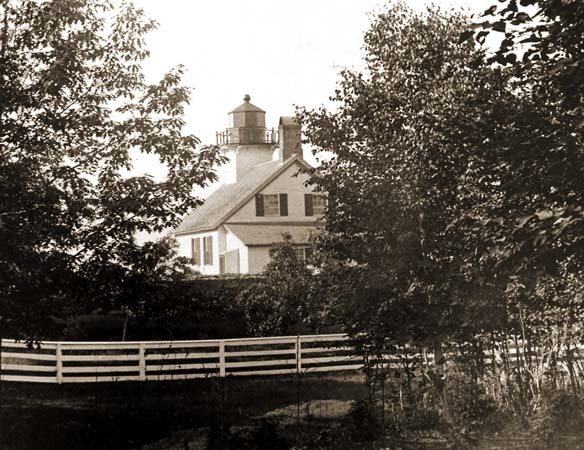 Old Mission Peninsula, you will find the picturesque Mission Point Lighthouse. Surrounding the lighthouse on three sides are thickly wooded trails just waiting for adventure. 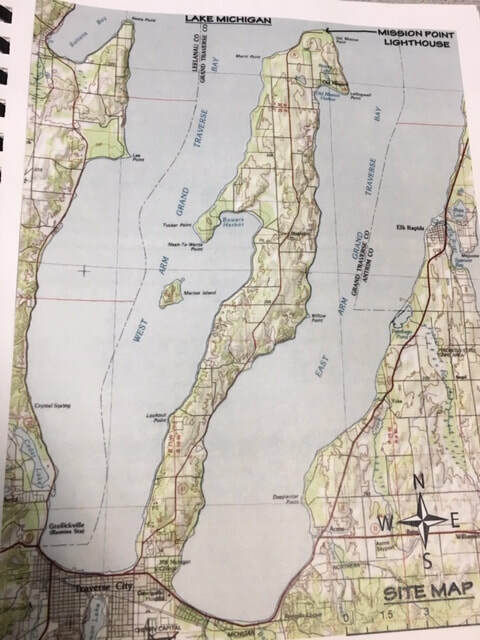 The fourth side looks out over the rocky and once dangerous waters of the north end of West Grand Traverse Bay. During the 1860’s a large ship hit a shallow reef and sank just in front of where Mission Point Lighthouse now sits. 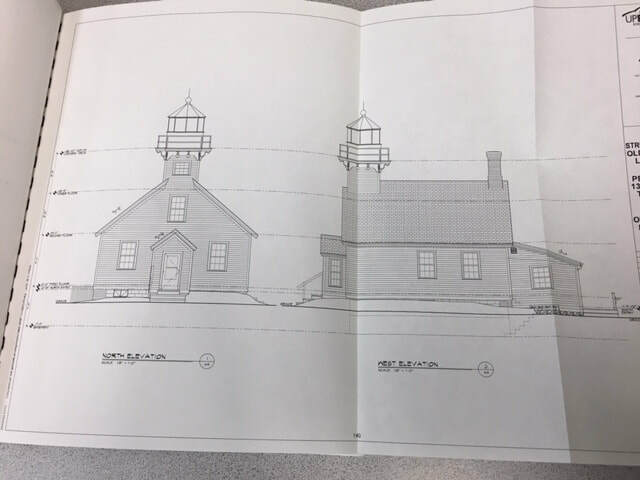 It was at this point that Congress set $6,000 aside for the construction of the lighthouse. However, it wasn’t completed until 1870 due to the Civil War. 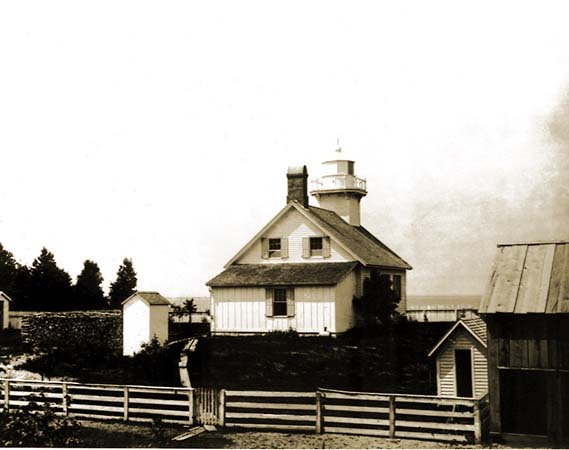 Mission Point Lighthouse was first lit on September 10, 1870. 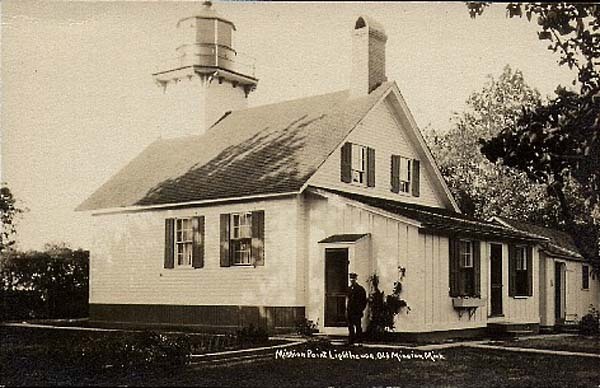 From 1870 through 1933, Mission Point’s light kept the waters at the end of Old Mission Peninsula safe for mariners. 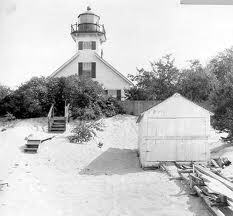 It was in 1933 that the lighthouse was decommissioned and later replaced with an automatic buoy light just offshore. 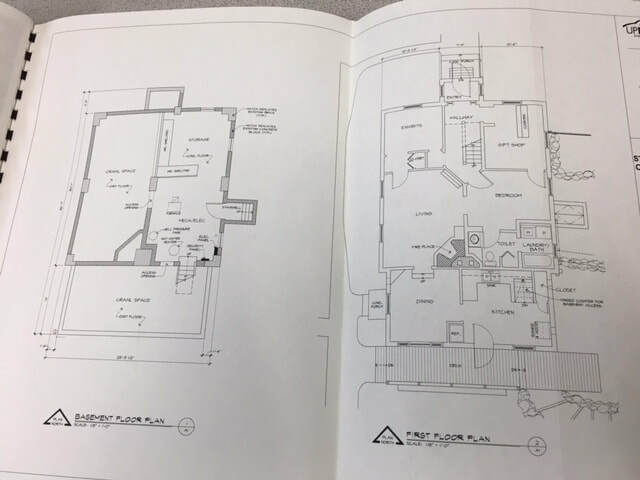 Originally, the lighthouse consisted of six rooms on the ground floor and a bedroom and supply room on the second floor. 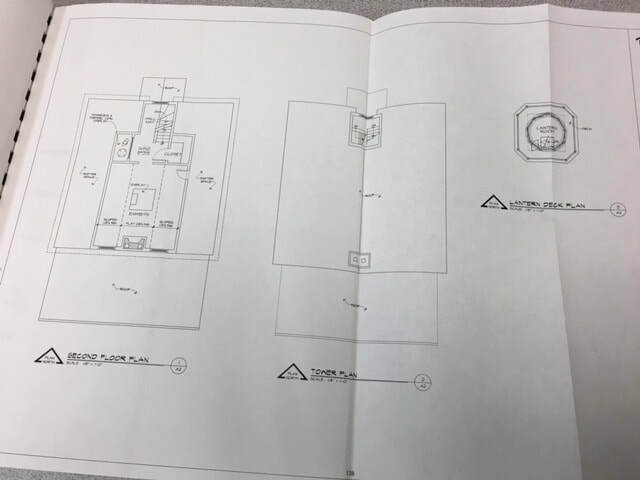 Above the second floor of the lighthouse was a room in the tower just ample enough for the light mechanism. 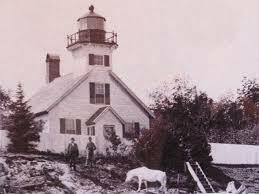 Like so many other lighthouses, whale oil (and later kerosene) was used to light the 5th Order Fresnel lens that refracted and magnified its modest light source into an intense beam that could be seen up to 13 miles away. 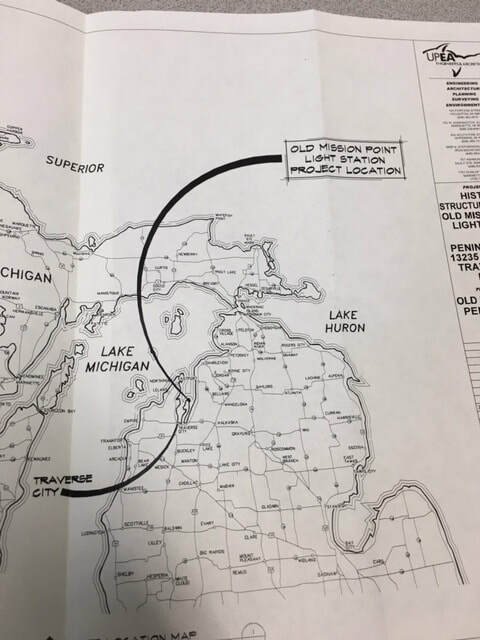 Mission Point Light is one of 129 Michigan lighthouses. Michigan has more lighthouses than any other state. Only 39 Michigan lighthouses are open to the public on a regular schedule. Captain John died on December 12, 1906. Sarah became the first and only woman keeper in Mission Point’s history, continuing the duties that previously she and her husband shared. The Lane’s were the keepers for 24 years until March 3, 1907, when James Davenport took over. In the years between 1907 and 1933, two other keepers would also join the list: William F. Green and Emil C. Johnson. 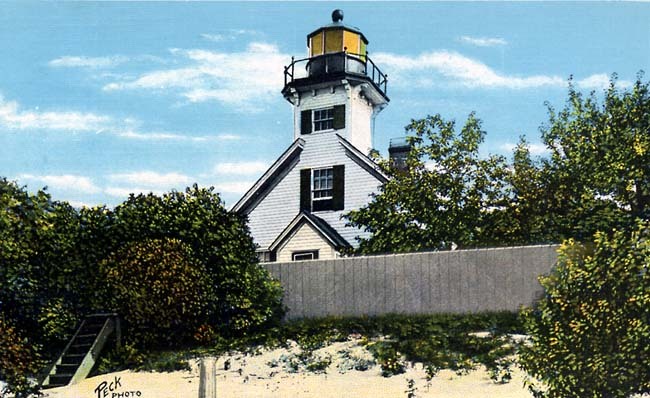 By the turn of the century, keepers were not the only people at the lighthouse. Visitors became so many that a fence similar to the one you now see was erected to protect the lighthouse itself, as well as visitors. A wooden walkway was also added so that folks could easily access the beach and see the lighthouse. 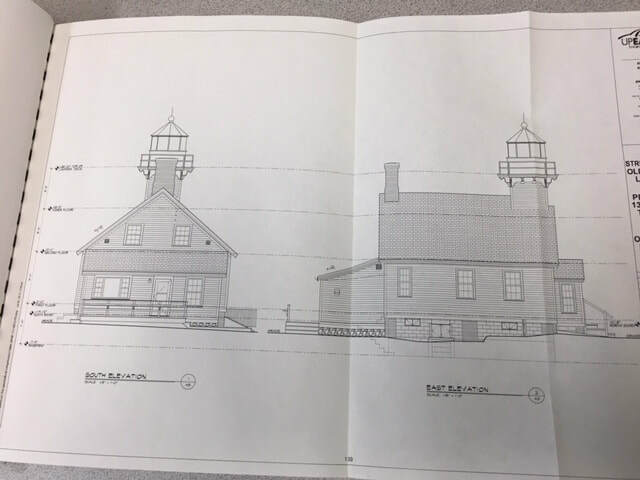 We would love to see you at Mission Point Lighthouse, so bring a picnic and a blanket to enjoy on the warm sand of the beach or under the quiet shade of the surrounding forests, and peek back in time to see how those before lived and to understand their influences on our present world. Old Mission Historical Society at http://www.omphistoricalsociety.org.